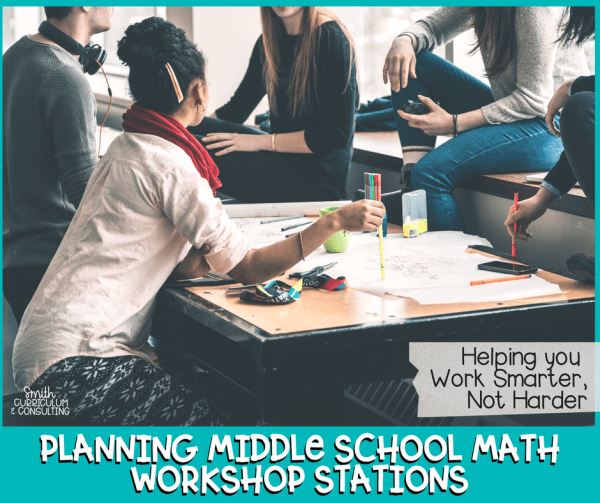 How Do I Work Smarter and Not Harder when it comes to something that involves a lot of planning and organization, like middle school math workshop, is what you may be asking me right about now. Well my friend, I’m here to tell you that it can be done. You can do this, I promise. Once you have established how you are going to organize your stations, stick with it. Don’t change this up from week to week because it will just confuse you as well as your students. 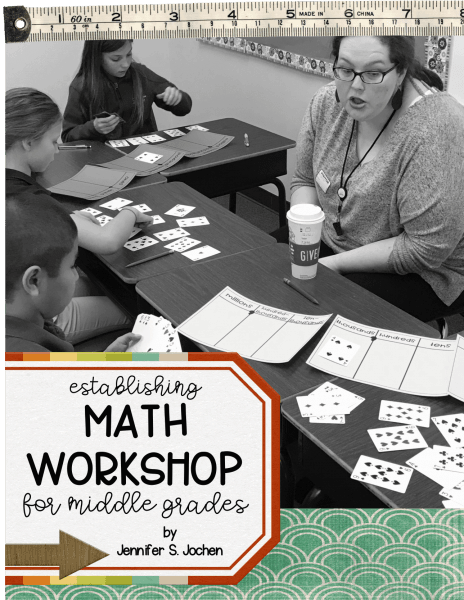 Like we have gone over in prior emails, I used the acronym MATH in my classroom which I had stand for Math Facts, At Your Seat, Talk to me and Hands On Fun. These stayed that way throughout the year and didn’t change. Math Facts– Just as the name states this station is all about practicing math facts. But did you know that fact fluency is MORE than just practicing multiplication facts? The definition of fact fluency includes: factors, equivalent fractions, addition and subtraction of positive and negative integers, multiplication facts through 12 and division facts through 12. With this I would also easily add in Order of Operations practice. At Your Seat– This station is very simply put and students are working independently on an activity to demonstrate their own personas mastery. Remember that Math Workshop is not current material and rather it is prior material that our students are confident in because they have shown mastery in some ways and have had multiple times at our teacher table for small group lessons. Solve and Snips– Self checking, easy word problem practice that has been created in over 70 different concepts and follows the same method throughout but simply changes the skill being taught each time. Spin to Win– Each activity provides the same format, similar directions and only requires a paper clip and a pencil to be completed. Concepts change with each activity and therefore you are wasting time going over new directions each week. 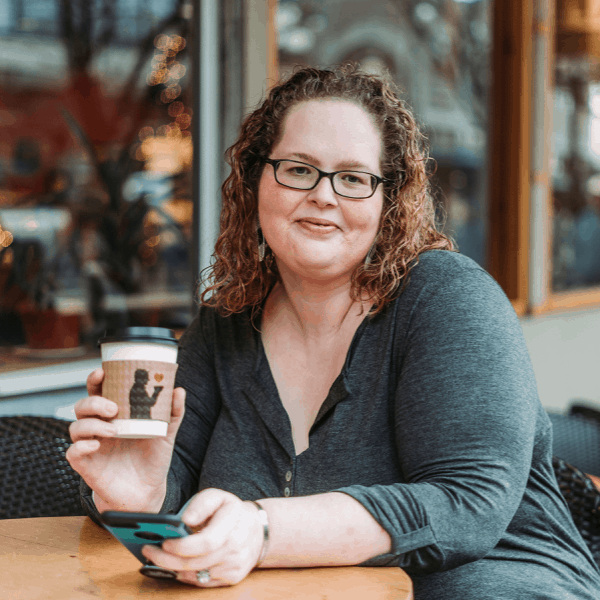 Talk to Me– This stations for me was the station where I truly wanted my students to talk as a group about what they were working on. I wanted them to build upon what each of them knew and share that with each other to deepen their understanding. This is definitely a station that having a set of Math Talk stems would be handy. 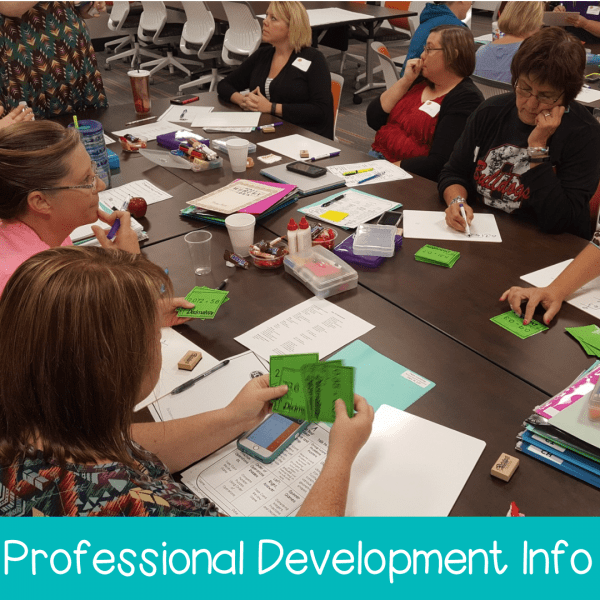 Left, Right, Answer– Interactive Learning that goes along with any set of Task Cards that you have and has students discussing the problems provided to come up with an answer. Group Word Problems– This ended up being a class favorite as can be seen in the blog post samples (there are pics). Simply provide the student with one word problem (could easily be from a task card) copied on a sheet of paper. They would then glue it at the top of a sheet of paper (think manilla paper) and then work together as a group to come up with a conclusion on how they would solve the problem. This definitely sparks conversation especially if there is more than one way to solve the problem and I would encourage them to show multiple ways if they came up with them. When it cam down to it, they loved using markers and illustrating to this totally kept them engaged. 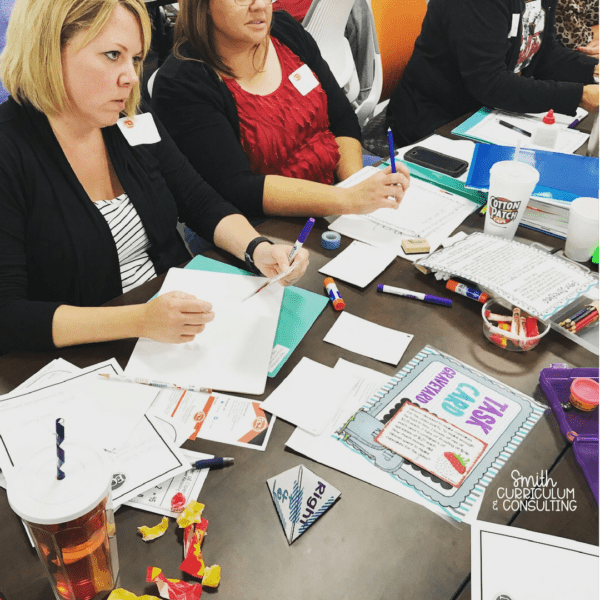 Hands On Fun– The true purpose of this station for me was to get my students interacting with manipulatives in the classroom to further their understanding of skills OR to expose them to a set of manipulatives prior to us using them in the classroom. Play and Reflect- How many times have you brought out a manipulative during a whole group lesson and you have to stop to remind them not to play because it is learning time not play time? Yes, it happens even to the best of us and this is when this time during a station is great because they can use that to work out their “playing” and follow it up with a simple reflection on Three Things They Noticed/Learned while working said manipulative. As you can see, picking items where you use the same type of activity but just change the concept each week will save you valuable time in your classroom as well as make it where your students are quick to get started since they know what to do. For those of you that have a Technology station, I have a great blog post coming up soon for Websites to use in your math class so make sure that you are following me on Facebook to know when that post goes live. 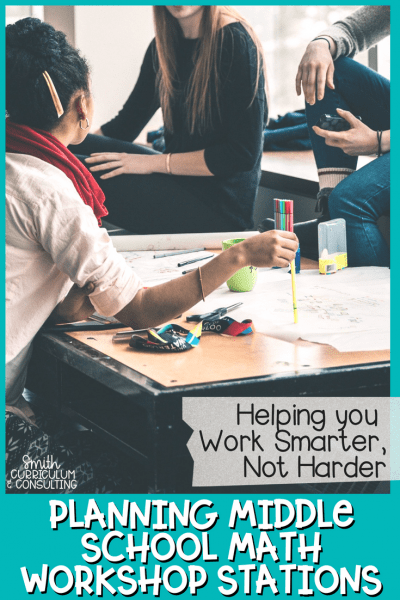 Remember, if the acronym MATH isn’t your thing, there are a TON of others out there that you can use or you can totally make up your own to make it work for you! Follow my Math Workshop and Guided Math Pinterest board to keep up with all the awesome ideas and activities I find and create!